My research and teaching are interwoven so that the two activities reinforce each other and so that, to the greatest extent possible, the latest research findings are integrated into the courses I teach. Throughout my career, my research and teaching have revolved around a single broad theme: the scientific study of human cognition. I have concentrated most extensively on the development of cognitive processes in normal and atypical children, but I have also published considerable research on adult cognition and have taught widely in that area. Thus, my vitae is sprinkled with publications in outlets such as Journal of Experimental Psychology and Journal of Memory and Language, as well as the familiar developmental outlets, such as Child Development, Developmental Psychology, Developmental Review, and Journal of Experimental Child Psychology. In recent years, my research and teaching have also encompassed questions about how cognitive processes are affected by normal aging and by the diseases of late adulthood. This, in turn, has stimulated a research program in cognitive neuroscience. Across all of these areas, a particular focus has been the relationship between memory processes and higher reasoning abilities. After several years of research and teaching on the memory/reasoning interface, I began to develop a general model of how memory influences reasoning and how reasoning influences memory, which is known as fuzzy-trace theory. Fuzzy-trace theory, which seeks to explain some of the most counterintuitive aspects of memory and reasoning, is now widely used by investigators in fields such as forensic psychology, judgment and decision making, and human memory. The theory has become standard fare in undergraduate and graduate courses and can be found in freshman psychology textbooks. It often figures in expert scientific testimony in legal cases in which the reliability of human memory is a central consideration. All of my research and teaching have been characterized by commitments to (a) rigorous research that relies on the experimental method, (b) the application of mathematical models, and (c) the development of predictive theories of cognition. Concerning (a), when it comes to the gain in reliable knowledge that can be derived from research, the experimental method is without parallel. Although important information can be gained from descriptive correlational investigations, especially in the early stages of research, only carefully-counterbalanced studies that are conducted under controlled conditions are able to separate the factors that influence cognition from each other and to establish the cause-effect relations that are essential to theoretical interpretation. For that reason, virtually all of my research has been characterized by hypothesis-driven experimental designs. Concerning (b), a standard conundrum in research on cognitive functions is that the procedures that are used to measure human cognition, from the simplest attentional task to the most complex reasoning task, are not process-pure. That is, performance on such tasks is invariably due to a mixture of contributing cognitive processes. Therefore, by definition, the respective contributions of those processes cannot be separated, let alone quantified, using task performance as the sole source of dependent variables. To accomplish separation and quantification, it is necessary to implement the target processes in a mathematical model that is defined over the task in question and to estimate the model's parameters from performance. Because it is the parameters that carry information about the target processes, data analysis then centers on estimated values of those parameters, rather than on task performance. This, in turn, allows theoretical hypotheses to be directly evaluated, rather than indirectly evaluated under weak measurement assumptions. An additional strength of model-based research that redounds to the benefit of knowledge gain is that theoretical ideas must be sharpened to a fine edge before they can be embedded in mathematical models. In light of all these advantages, there is no cognitive task that I have studied extensively for which I have not also developed relevant mathematical models. A few examples include Markov models of recognition and recall, Markov models of logical and scientific reasoning, multinomial models of mathematical reasoning, and multinomial models of false recognition and recall. I am now coupling mathematical models with neuroscience methods to achieve process separation at the level of brain activity. Last, concerning (c), one of the abiding limitations of cognitive theories is that they emphasize explanation at the expense of prediction. That is, what counts as an acceptable theory is a body of assumptions that can cover available research findings, hopefully with due regard to parsimony, with little consideration being given to whether new and surprising results fall out of those same assumptions as predictions. However, explaining data is the easy part, and experience has shown that it is possible to formulate multiple competing explanations of any set of data. The more formidable part of theorizing is developing a set of assumptions that will also predict novel findings that would not have been envisioned without those assumptions. That is the type of theorizing that I have stressed in my research and teaching, and fuzzy-trace theory is a prime example. In addition, it is the emphasis on predictive theorizing that is responsible for the fact that my experimental work has so often been concerned with counterintuitive findings--for instance, the cognitive triage effect, the false persistence effect, the mere-testing effect, the memory-independence effect, the memory-interference effect, the overdistribution effect, and the phantom recollection effect. Brainerd, C. J., & Reyna, V. F. (2018). Replication, registration, and scientific creativity. Perspectives on Psychological Science, 13, 428–432. Brainerd, C. J., & Reyna, V. F. (2018). Complementarity in false memory illusions. Journal of Experimental Psychology: General, 147, 305-327. Brainerd, C. J., Reyna, V. F., & Holliday, R. E. (2018). Developmental reversals in false memory: Development is complementary, not compensatory. Developmental Psychology, 54, 1773-1784. Chen, X. R., Gomes, C. F. A., & Brainerd, C. J. (2018). Explaining recollection without remembering. Journal of Experimental Psychology: Learning, Memory, and Cognition, 44, 1921-1930. Brainerd, C. J. (2018). Reliability is not readiness. In R. J. Sternberg (Ed. ), My biggest research mistake. New York: Sage. Bookbinder, S. H., & Brainerd, C. J. (2017). Emotionally negative pictures enhance gist memory. Emotion, 17, 102-119. Brainerd, C. J., Nakamura, K., Reyna, V. F., & Holliday, R. E. (2017). Overdistribution illusions: Categorical judgments produce them, confidence ratings reduce them. Journal of Experimental Psychology: General, 146, 20-40. Nakamura, K., & Brainerd, C. J. (2017). Disjunction and conjunction fallacies in episodic memory. Memory. Bookbinder, S. H., & Brainerd, C. J. (2016). Emotion and false memory: The context-content paradox. Psychological Bulletin, 142(12), 1315-1351. Corbin, J. C., Reyna, V. F., Weldon, R. B., & Brainerd, C. J. (2016). How reasoning, judgment, and decision making are colored by gist-based intuition: A fuzzy-trace theory approach. Journal of Applied Research in Memory and Cognition, 4, 344-355. Brainerd, C. J. (2015). Alzheimer’s disease. In Bornstein, M. H., Arterberry, M. E., Fingerman, K. L., & Lansford, J. E., (Eds.). SAGE Encyclopedia of Lifespan Human Development. New York: Sage. Brainerd, C. J. (2015). Eyewitness testimony. In Bornstein, M. H., Arterberry, M. E., Fingerman, K. L., & Lansford, J. E., (Eds.). SAGE Encyclopedia of Lifespan Human Development. New York: Sage. Brainerd, C. J., Gomes, C. F. A., & Nakamura, K. (2015). Dual recollection in episodic memory. Journal of Experimental Psychology: General, 144, 816–843. Brainerd, C. J., Wang, Z., Reyna, V. F., & Nakamura, K. (2015). Episodic memory does not add up: Verbatim–gist superposition predicts violations of the additive law of probability. Journal of Memory and Language, 84, 224–245. Brainerd, C. J. (2015). Things Ken Spence never told us. In R. J. Sternberg (Ed. ), Academic leadership. New York: Rowman-Littlefield. Brainerd, C. J., Gomes, C. F. A., & Moran, R. (2014). The two recollections. Psychological Review, 121, 563-599. Brainerd, C. J., Holliday, R. E., Nakamura, K., & Reyna, V. F. (2014). Conjunction illusions and conjunction fallacies in episodic memory. Journal of Experimental Psychology: Learning, Memory, and Cognition, 40, 1610-1623. Brainerd, C. J., Reyna, V. F., Gomes, C. F. A., Kenney, A. E., Gross, C. J., Taub, E. S., & Spreng, R. N. Spreng. (2014). Dual-retrieval models and neurocognitive impairment. Journal of Experimental Psychology: Learning, Memory, and Cognition, 40, 41-65. Gomes, C. F. A., Brainerd, C. J., Nakamura, K., & Reyna, V. F. (2014). Markovian interpretations of dual retrieval processes. Journal of Mathematical Psychology, 59, 50-64. Gomes, C. F. A., & Brainerd, C. J. (2014). Dual processes in the development of reasoning: The memory side of the theory. In P. Barrouillet & C. Gauffroy (Eds. ), The development of thinking and reasoning. Hove, UK: Psychology Press. Gomes, C. F. A., Cohen, B. R., Desai, A., Brainerd, C. J., & Reyna, V. F. (2014). Aging and false memory: Fuzzy-trace theory and the elderly eyewitness. In M. P. Toglia, D. Ross, J. Pozzulo, & E. Pica (Eds. ), The elderly eyewitness in court. New York: Taylor & Francis. Reyna, V. F., & Brainerd, C. J. (2014). The fuzzy universality of probability judgment. Proceedings of the National Academy of Sciences USA, 111, 16984-16985. Brainerd, C. J. (2013). Developmental reversals in false memory: A new look at the reliability of children’s evidence. Current Directions in Psychological Science, 22, 335-341. Brained, C. J. (2013). Murder must memorise. Memory, 21(5), 547-555. Brainerd, C. J., & Reyna, V. F. (2013). Dual processes in memory development: Fuzzy-trace theory. In P. J. Bauer & R. Fivush (Eds. ), The Wiley Handbook on the Development of Children’s Memory (pp. 480-512). New York: Wiley & Sons. Brainerd, C. J., Wang, Z., & Reyna, V. F. (2013). Superposition of episodic memories: Overdistribution and quantum models. Topics in Cognitive Science, 5, 773-799. Corbin, J.C., Wilhelms, E.A., Reyna, V.F., & Brainerd, C.J. (2013). Theories and processes in memory development: Childhood to adolescence. In R. E. Holliday & T. Marche, (Eds. ), Child forensic psychology (pp. 65-94). Basingstroke: Palgrave-Macmillan. Brainerd, C. J., Reyna, V. F., Petersen, R. G., Smith, G. E., Kenney, A. E., Gross, C. J., Taub, E. S., Plassman, B. L., & Fisher, G. G. (2013). The apolipoprotein E genotype predicts longitudinal transitions to mild cognitive impairment but not to Alzheimer’s dementia: Findings from a nationally representative study. Neuropsychology, 27(1), 80-94. Brainerd, C.J., Aydin, C., & Reyna, V.F. (2012). Development of dual-retrieval processes in recall: Learning, forgetting, and reminiscence. Journal of Memory and Language, 66, 763-788. Brainerd, C. J., & Reyna, V. F. (2012). Reliability of children’s testimony in the era of developmental reversals. Developmental Review, 32, 224-267. Brainerd, C. J., Reyna, V. F., Holliday, R. E., & Nakamura, K. (2012). Overdistribution in source memory. Journal of Experimental Psychology: Learning, Memory, and Cognition, 38, 413-439. Brainerd, C.J., Aydin, C., & Reyna, V.F. (2012). Development of dual-retrieval processes in recall: Learning, forgetting, and reminiscence. Journal of Memory and Language. Advance online publication. Brainerd, C. J., Reyna, V. F., & Holliday, R. E. (2012). Development of recollection: A fuzzy-trace theory perspective. In S. Ghetti & P. J. Bauer (Eds. ), Origins and development of recollection: Perspectives from psychology and neuroscience (pp. 101-143). New York: Oxford University Press. Holliday, R.E., Humphries, J.E., Brainerd, C.J. & Reyna, V.F. (2012). Interviewing witnesses and victims. In G. Davies, A. R. Beech (Eds. ), Forensic psychology: Crime, justice, law, interventions (pp. 115-134). Chichester, UK: Wiley. Gomes, C. F. A., Brainerd, C. J., & Stein, L. M. (2012). Effects of emotional valence and arousal on recollective and nonrecollective recall. Journal of Experimental Psychology: Learning, Memory, & Cognition. Advance online publication. Marche, T.A. & Brainerd, C.J. (2012). The role of phantom recollection in false recall. Memory & Cognition, 40, 902-917. Holliday, R. E., Brainerd, C. J., & Reyna, V. F. (2011). Developmental Reversals in False Memory: Now you see them, now you don’t! Developmental Psychology, 47(2), 442-449. Dr. Brainerd holds B.S., M.A., and Ph.D. degrees in experimental and developmental psychology. He has published over 300 research articles and chapters, and he has also published over 20 books. His research covers areas such as human memory and decision-making, statistics and mathematical modeling, cognitive neuroscience, learning, intelligence, cognitive development, learning disability and child abuse. Dr. Brainerd's current research program centers on the relation between memory and higher reasoning abilities in children and adults, and it also focuses on false-memory phenomena, cognitive neuroscience, aging, and neurocognitive impairment. He co-developer of fuzzy-trace theory, a model of the relation between memory and higher reasoning that has been widely applied within medicine and law. Dr. Brainerd has been elected to the National Academy of Education. He has recently received the G. Stanley Hall Award for distinguished lifetime contributions to developmental psychology from the American Psychological Association. Dr. Brainerd is a Fellow of the Division of General Psychology, the Division of Experimental Psychology, the Division of Developmental Psychology and the Division of Educational Psychology of the American Psychological Association, and he is a Fellow of the American Psychological Society. Dr. Brainerd is also a Fellow of the Psychonomic Society. Dr. Brainerd has received the Governor of Arizona's Spirit of Excellence Award for scholarly work in higher education and the Trial Defense Services Medal of the Judge Advocate General of the United States Army. Dr. Brainerd advises civilian and military courts on memory research and has contributed to amicus briefs in many appeal cases, including death penalty appeals. He has contributed extensively to Frye and Daubert proceedings that evaluate the reliability of scientific evidence for trial courts. 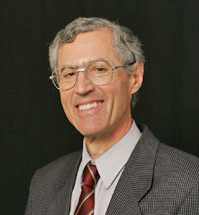 Dr. Brainerd is past Associate Editor of Child Development, the leading research journal in developmental psychology, and he is past Associate Editor of The Behavioral and Brain Sciences, a prominent theoretical journal in cognitive neuroscience. He is currently editor of Developmental Review, the leading journal of theory and literature review in developmental psychology, and he serves on the Editorial Board of the Journal of Experimental Psychology: Learning, Memory, and Cognition. Dr. Brainerd has received three decades of research support from private foundations and from government agencies such as the Department of Agriculture, the Marsden Foundation, the National Institutes of Health, the National Science Foundation, the Natural Sciences and Engineering Research Council, the North Atlantic Treaty Organization, and the Spencer Foundation. Videocasts of the Law, Psychology, and Human Development program's distinguished speaker series are posted on the Extension website. Videocasts of several of my lectures in Social and Psychological Aspects of the Death Penalty are posted on the Extension website. Videocasts of several of my lectures in Memory and the Law are posted on the Extension website. I successfully worked with Extension to develop an on-line version of my course Memory and the Law. Throughout my career, I have maintained strong commitments to public service activities that implement the latest scientific knowledge. Regardless of the age range that has occupied my attention during particular phases of my career, I have devoted continuing attention to the application scientific findings to real-world problems in human cognition. For some years, this focus took the form of intense work on elementary-school mathematics and science curricula. As part of that work, I made contributions on topics such as the types of number concepts and arithmetical operations that are easiest for young children to learn, the order in which such skills should be introduced in classrooms, and the instructional methods that promote learning of such skills. Following that work, I turned to applications of cognitive research to instruction in high-technology teaching environments. Here, I made contributions to early understanding of computer-based learning, including learning via proprietary instructional software, web-based learning, and distance learning via video conferencing. Most recently, I have devoted much effort to applications of research on cognitive processes to problems in the law. In that arena, I have made contributions to topics such as criminal interrogation, criminal confession, false memory in psychotherapy, investigative interviewing of children, witness competence, and eyewitness identification. I have also provided expert scientific information on such research to courts in many states and have taught such information to varied groups of legal professionals (e.g., to bar associations, to judicial associations, to teams of trial officers of the Judge Advocate General, to teams of private attorneys), as well as to graduate students. I routinely advise state and federal courts on the reliability of scientific evidence through the mechanism of Frye and Daubert hearings. Each year, I advise the courts in multiple states on the reliability of human memory in cases in which it is a prime consideration, such eyewitness identification and confession cases. As a result of my activities in the legal sphere, fuzzy-trace theory has become a model that is widely used to evaluate the reliability of memory evidence by courts in the United States.